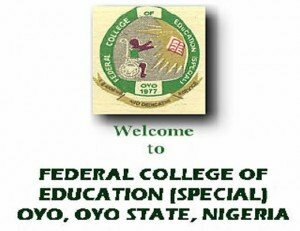 Federal College of Education (Special), Oyo Admission Letter Dates, Time, and Venue for Fresh/Newly Admitted Students 2018/2019 Academic Session. Please be informed that the collection of admission letters would commence by Wednesday 12th December, 2018. 5. Voc & Tech - 2:30pm - 4:30pm.